Bang Couture culotte pants, Forever 21 off the shoulder blouse, Christian Louboutin shoes, Celine large edge bag via Love that Bag, Michael Kors silver watch, Pandora silver ring. Wow this outfit is flawless! 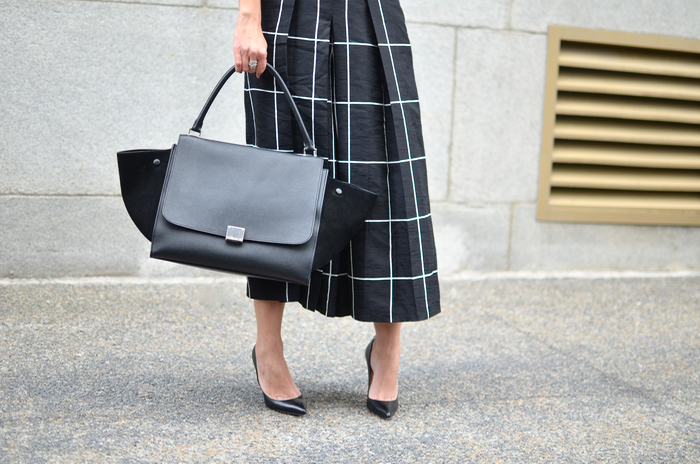 Love the Celine bag paired with the graphic-printed skirt!